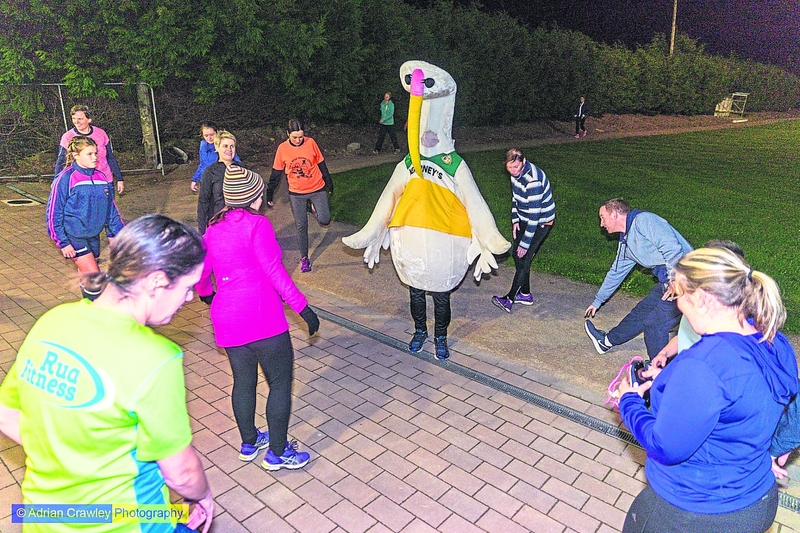 The launch of the Wild Goose Chase 2018 took place on Wednesday October 3, at the Westerns track, which was also the date that training for the Reaghstown Chasers commenced after the summer break. In attendance were representatives from Ardee Hospice Homecare who were officially presented with a cheque for last year’s event. Fortunately the Wild Goose himself was also able to make a brief appearance bringing plenty of laughs and fun. After the training session there was a chance for a cup of tea and a catch up. Training sessions with our coach David Martin will be every Wednesday evening at 8pm and Saturday morning at 9.30am with lights on for individual sessions on Tuesday and Thursday evenings from 7.30pm – 8.30pm. 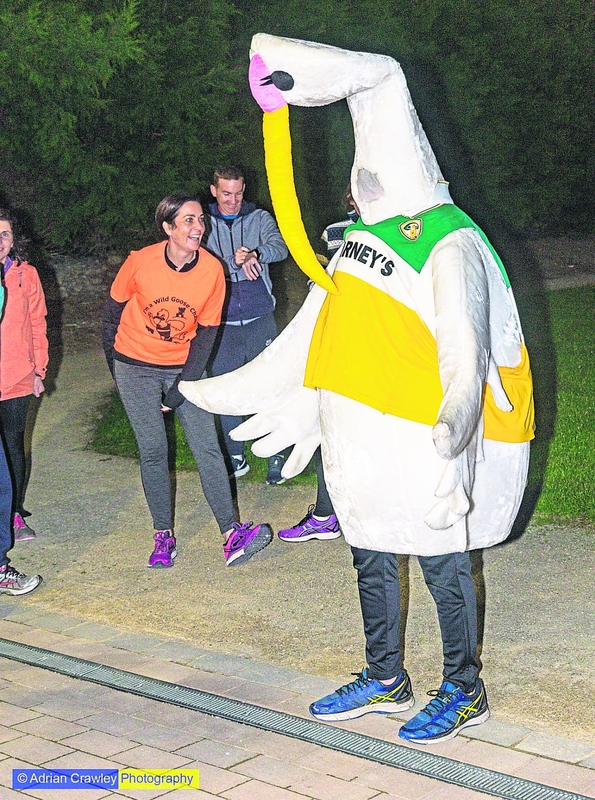 All this training will culminate in The Wild Goose Chase which is now in its seventh year and will be held on Sunday, 2nd December 2018 at 12 noon starting and finishing at the Westerns GFC, Reaghstown, Ardee, Co Louth (off N2 between Ardee and Carrickmacross opposite Dooley’s pub). All proceeds going to Ardee Hospice Homecare and redevelopment of the Westerns grounds. It has become a firm favourite and is now a fixture in the diary of many running clubs, sports teams and fun runners/walkers in the North East and beyond. Both the 10k and 5k courses take in magnificent views of the Cooley Mountains and Slieve Gullion and pass the site of the infamous Wild Goose Lodge with the 10k course passing the historic Knockabbey Castle.